Western verbena is a handsome perennial wildflower well suited to harsh, dry, and disturbed places. Its pleasing appearance will liven up and soften a difficult, hot, sunny location where other species may find it too harsh to grow. 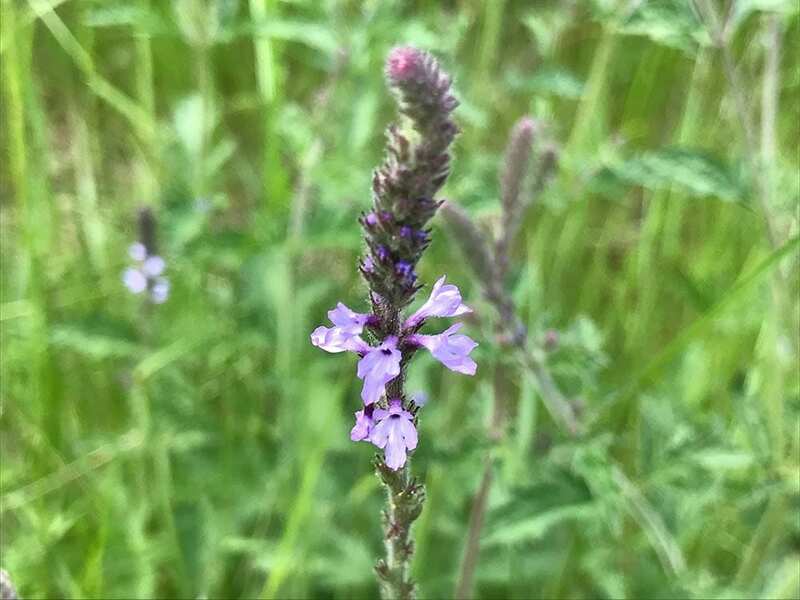 Also known by the name western vervain, western verbena is a pioneer species that has the bonus of being attractive to many pollinator species, including bees and butterflies. Monarch butterflies are often seen nectaring on western verbena. It grow 2′-3′ tall, covered at the tips by spikes of small blue-violet verbena flowers. The flowers open sequentially, from the bottom to the top of the spike, helping the plant stay in bloom for weeks under ideal conditions. 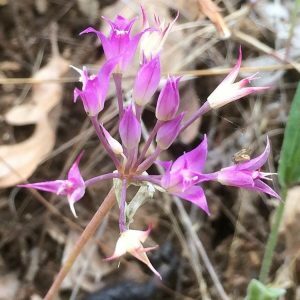 It can bloom anytime from May to September depending on access to water and elevation. It can bloom right up until frost with deadheading in the garden setting. 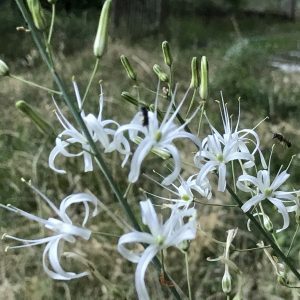 The flowering stems are square and the green leaves are coarsely toothed with short grayish hairs. Western verbena is prolific and tough, and can spread by seed in the garden, which can be a welcome or unwelcome situation, depending on your garden. 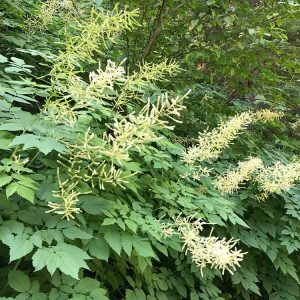 We love the plant because of its attractiveness to pollinators and welcome its abundant reseeding. 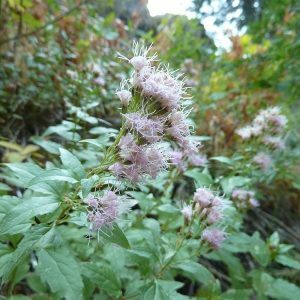 A great plant for pollinator gardens and habitat restoration. Native to Oregon, California, and Baja California, western verbena is common and widespread. A member of the Vervain (Verbenaceae) family. Great for erosion control. Deer resistant and drought tolerant. 30-60 days cold-moist stratification. Sow outside in fall or early spring.